Elves are famous for their love of nature. Leaves, vines, and other nature symbols show up in their arms and armor all the time. Our own Elven Leaf Leather Pauldron Harness is made in the spirit of nature and is perfect for any elf armed for war. These elven pauldrons took inspiration from nature to create an intriguing design. 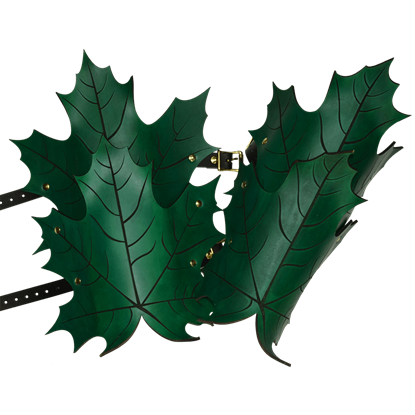 Our Elven Leaf Pauldrons are not meant for combat. These pauldrons are better suited as decorative additions to existing armor. They are hand-crafted from quality 7/8 oz. leather into the shape of three leaves on each shoulder, giving the impression of falling leaves. Each leaf is carefully molded with up-turned points and are contoured to fit the natural shape of your shoulder and arm. The pair of pauldrons are secured together via a system of straps and buckles centered on a metal ring, which enables these pauldrons to be worn independently or with an already-existing suit of armor. 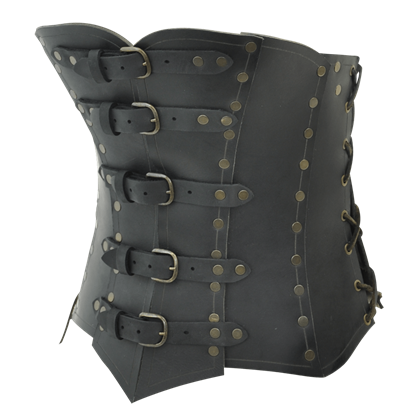 Please note that the black straps, which are a soft, supple leather, come in black and they are very long to accommodate a variety of sizes. As the straps always come in black, the color option above indicates the color of the leaves. Once you adjust the harness to your correct size, you can always cut the extra slack off if needed. 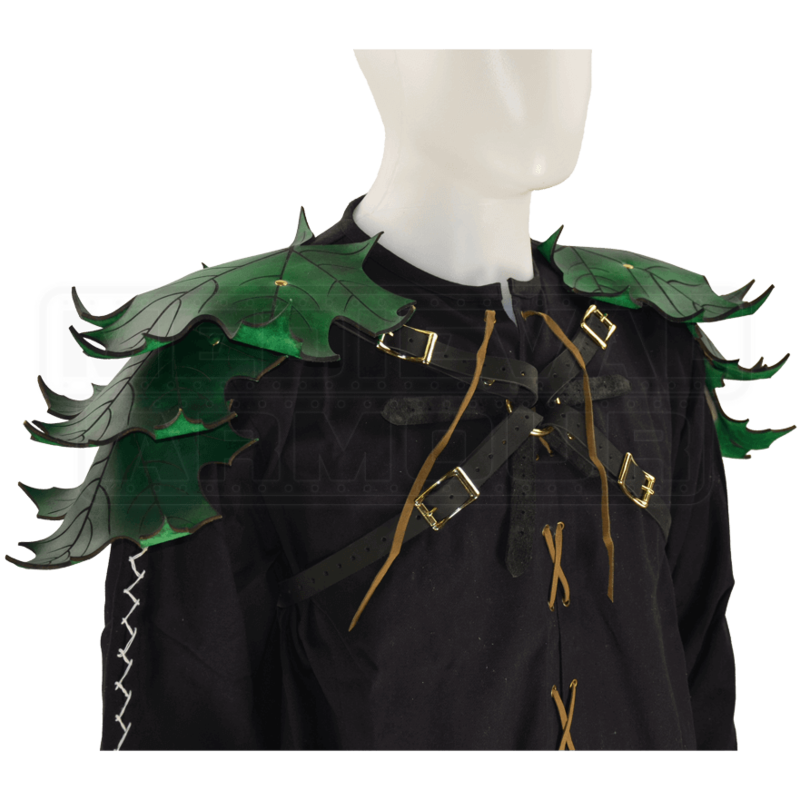 So if you find yourself as an elf or nature-warrior with bare shoulders, and that bothers you, then invest in our Elven Leaf Leather Pauldron Harness. You get some protection and a lot of style, in a relatively small package. The lands of Middle Earth can be a perilous place, and to new-comers, it can be quite easy to get lost. 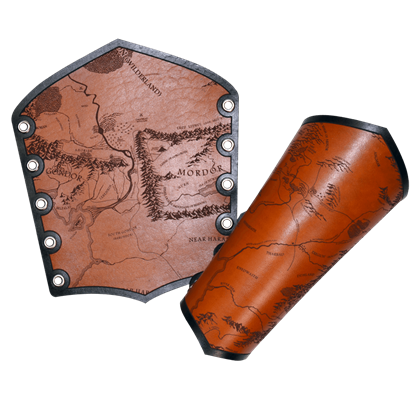 Luckily, if you came prepared, you came wearing these Middle Earth Map Bracers, which will make it easier to navigate the land. In most mythos, elves typically find a harmony with nature. That their armour draws inspiration from the forest is not surprising. By emulating this notion, we have created our own take on elven armor, the Elven Leaf Leather Greaves.